News emerged today (8 February) that 145 lawyers have left Fidal to join the accountant’s newly created French legal arm, KPMG Avocats. The tax-focused team includes 26 partners, and KPMG Avocats plans to eventually grow its headcount to more than 400. The move follows the end of a decades-long collaboration between KMPG and Fidal, with the French firm affiliated to its network until the early 2000s and later in a non-exclusive collaboration with the Big Four firm until July last year. KPMG denied reports that the team hire had breached a clause in the termination agreement that prevented it from hiring Fidal’s partners or employees involved in the relationship. Meanwhile, KPMG has launched a new legal consultancy service for in-house counsel. Called Legal Operations and Transformation Services, it will advise on areas including tech, flexible resources and risk management. KPMG’s legal arm employed more than 2,300 professionals at the end of last year. Birri said in May last year that it aimed to grow its headcount to 3,000 lawyers by 2021 . Last month it entered its 76th jurisdiction, opening an affiliated legal practice in Hong Kong called SF Lawyers. KPMG’s latest announcements follow the news that Deloitte had hired Allen & Overy banking partner Michael Castle to head its UK legal arm after it became the last of the Big Four to become an alternative business structure in January last year. He floats $50m and $100m, but for him it is beside the point. It is the appetite he is seeing from KPMG’s member firms – spread across 154 countries and territories – wanting to invest in setting up a legal services arm. KPMG’s UK general counsel (GC) Jeremy Barton is leading a transformation of its legal team, while also reviewing the broad range of relationships that KPMG has with law firm suppliers. The Big Four accountant doesn’t currently have a formal panel, and Barton says this is unlikely to change, as he prefers an informal approach with external advisers. Regular law firms instructed by the legal team include DLA Piper, Freshfields Bruckhaus Deringer, Osborne Clarke and Pinsent Masons. While Barton (pictured) would not be drawn on the exact nature of the changes, expected to conclude by September, he told Legal Business: ‘We are in the middle of a transformation of my team, which is ongoing, it is quite exciting. We don’t have a formal panel in terms of law firms but we are reviewing the broad range of relationships that we have. At KPMG Barton is currently supported by a small team in the central legal function who are responsible for a mixture of corporate commercial work, intellectual property and technology as well as treasury, pensions and insurance work. Barton also looks after a mix of lawyers and non-lawyers in the company’s contract unit team that deal with all client related matters, as well as KPMG’s practice protection team, which handles investigations and claims. Prior to becoming GC at BCG, Barton spent ten years at Andersen as European and deputy GC and also held the global GC role at Ernst & Young. He took over at KPMG from Vanessa Sharp, who retired from the GC role at the accountancy giant after 18 years. Mishcon de Reya is acting in a £128m claim against the Royal Bank of Scotland and KPMG brought by former Torex Retail chief executive Neil Mitchell, with Dentons and Stephenson Harwood advising the defendants. Mishcon de Reya disputes partner Richard Leedham is leading for the claimant with Stephen Auld QC, Michael Clark and Sophie Webber of One Essex Court as barristers. Dentons partner Steven Mills leading on the case, and has instructed Fountain Court’s Patrick Goodall QC and Richard Power. Also named in the case are Torex financial advisers KPMG who are being advised by Stephenson Harwood partner Ros Prince. Mitchell’s case is being heard in the Royal Courts of Justice in London and alleges fraud against RBS, KPMG and two KPMG named partners. He is also bringing a separate action in the US against New York-based firm Cerberus Capital Management. Mitchell claims that collusion between RBS, Cerberus and members of Torex’s advisers led to the purchase of the company at around £400m below the firm’s value, which caused its collapse. He first brought his concerns to the Serious Fraud Office after Torex was sold to Cerberus in 2007 for £204m, but was later dismissed from the firm. RBS is also expected to face further claims running into the billions of pounds from hundreds of small and medium-sized businesses that they were forced out of business for the bank’s profit. That litigation is being brought by Enyo Law. Cerberus Capital Management declined to comment. Accountancy giant KPMG has triumphed at London’s High Court today (24 February) after an unprecedented judicial review taken by Holmcroft Properties was dismissed. In a case which would have opened the floodgates for other firms unhappy with their compensation from the banks, the Big Four accountant was sued by nursing home operator Holmcroft along with the Financial Conduct Authority (FCA) and Barclays. Holmcroft questioned KPMG’s role as an independent reviewer in the compensation process of mis-selling of interest rate swap products. The FCA reached an agreement with Barclays to set up a scheme to provide redress to certain customers who had been wrongly sold these products. The bank agreed that an independent party, KPMG, should oversee the implementation and application of the scheme and that Barclays would make no offers of compensation before KPMG’s approval. Holmcroft argued it was made an offer by Barclays that was inadequate and did not satisfy the criteria because it did not include compensation for loss which it alleged was a consequence of the mis-sale. The company also alleged Barclays did not fairly deal with its application for consequential loss and when KPMG acted in breach of public law principles by approving the offer it made to it by Barclays. Brick Court Chambers duo Richard Gordon QC and Malcolm Birdling were instructed by Mishcon de Reya for Holmcroft while Blackstone Chambers pair Javan Herberg QC and Hanif Mussa were instructed by Herbert Smith Freehills for the KPMG. Blackstone Chambers trio Monica Carss-Frisk QC, Daniel Burgess and Kerenza Davis were instructed by Baker & McKenzie head of financial services Arun Srivastava for the FCA and the set’s high profile silk Dinah Rose QC was instructed by Linklaters for Barclays alongside barrister Ben Jaffey. HSF partner Andrew Lidbetter said the judicial review confirmed KPMG had not been carrying out a public function. 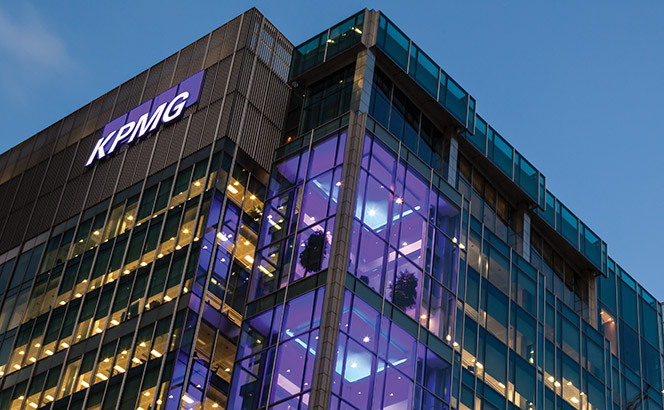 Boston Consulting Group’s (BCG) Jeremy Barton has been appointed the new UK general counsel (GC) at KPMG following the departure of longstanding GC Vanessa Sharp in May. Barton, who is currently responsible for all legal and compliance matters within BCG and leads a team of lawyers in the US and Europe, will join the Big Four accountancy firm in December. He has previously had in-house roles at Andersen and EY. At KPMG he will be supported by a small team of eight in the central legal function who are responsible for a mixture of corporate commercial work, intellectual property and technology as well as treasury, pensions and insurance work. Barton will also look after a mix of lawyers and non-lawyers in the company’s contract unit team that deal with all client related matters, as well as KPMG’s practice protection team, which handles investigations and claims. The central legal team at KPMG includes deputy GC Neil Barnicoat, who has been acting GC since May, and several assistant GCs, including Misha Patel, Natasha Doulia, Laura Mavely and Ian Dunn. Prior to becoming GC at BCG, Barton spent ten years at Andersen as European and deputy GC and also held the global GC role at Ernst & Young. 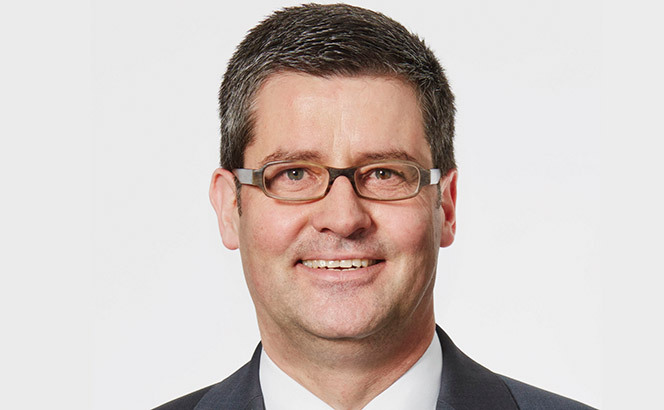 Sharp, who retired from the GC role at KPMG after 18 years, was instrumental in building the UK role and legal team, as well as leading the KPMG European merger in 2007 before becoming the company’s first GC for the UK and Europe. She is currently a consultant at law firm Stephenson Harwood, and is assisting the firm with its client development programme. Accountancy firms continue to build their presence in the legal sector with KPMG Law the latest to boost its legal team by hiring two Berlin-based Taylor Wessing partners. The duo, Mario Ohle and Burkhard Frisch, join the growing legal practice which has been up and running for nearly eight years and counts more than 240 lawyers across 16 offices in Germany. Corporate specialist Frisch joined Taylor Wessing in 2007 from local independent firm Beiten Burkhardt as part of a quarter of hires designed to help rebuild its Berlin outpost. He focuses on M&A as well as corporate real estate and healthcare privatisations. Ohle specialises in technology-related public procurement, complex IT projects and planned construction. He has set on a variety of company boards including Realtime Technology and Zanox. The pair joined KPMG Law’s Berlin office at the start of August and both are tasked with driving future growth of its public sector and enterprises practice. KPMG’s UK division meanwhile has growth plans of its own after successfully obtaining a multi-disciplinary alternative business structure licence in October 2014, as the accountancy giant seeks to triple the size of its legal team over the next three years. PwC Legal also expanded its German legal team this summer with the hire of Mayer Brown banking and finance partner Jorg Wulfken in Frankfurt as the firm looks to build a ‘sizeable’ financial services offering outside the US. Vanessa Sharp, KPMG‘s general counsel (GC), is to retire from the partnership after 18 years in the role. The process to replace Sharp, who departs in May is currently ongoing, and Legal Business understands that the replacement is likely to be an external one. Sharp, who joined the big four accountancy firm in 1996, has been instrumental in building the UK GC role and legal department, as well as leading the KPMG European merger in 2007 and subsequently becoming the company’s first GC for the UK and Europe. She has also helped to oversee the response to European reforms to statutory audit in the wake of internal market and services commissioner Michel Barnier’s investigation of the sector. Prior to joining KPMG, Sharp was a solicitor at Ince & Co. She also currently holds a number of non-executive roles, including an advisory board member role at Eversheds, which she has held since 2000. KPMG is looking to bulk up its legal team as it becomes the latest accountancy giant to acquire an alternative business structure (ABS) licence in a bid to expand its offering to clients. The firm said it is the first of the Big Four to be awarded an ABS licence by the Solicitors Regulation Authority to operate on a multi-disciplinary basis. But, KPMG UK Chair Simons Collins, said that the firm has ‘absolutely no plans’ to develop any kind of standalone legal practice, he added that the new regulatory regime, which opens up the provision of legal services across the sector, allows the firm to extend its legal services provision where it has a ‘proven and successful track record’. Collins said: ‘We are taking a focused approach: our key differentiator is that we will only offer legal services which are fully integrated with other areas where we already provide advice. KPMG’s existing legal services team comprises more than 50 lawyers and immigration specialists including four partners, including tax litigation head Amanda Brown, corporate and commercial head David White, and employment and immigration group head Punam Birly. Gary Harley, the partner tasked with spearheading KPMG’s expanded legal services business under the ABS said: ‘Our existing legal team is on track to generate almost £10m in revenues this year and our future ambitions are to build on the solid foundations of this proven strategy’. SRA executive director Richard Collins said: ‘The vehicle KPMG has created to deliver a range of professional services in a one-stop shop is exactly the kind of entity envisaged when the Legal Services Act was introduced. We believe ABSs of this type will benefit consumers by providing greater competition in the provision of legal services, greater opportunities to access holistic services, and potential reductions in cost by services being made available in one place’. It was reported by Legal Business last year that KPMG, alongside fellow accountancy giant EY, was considering growing its legal services function having hired DLA corporate partner Nick Roome. PwC was first to make the move, however, and announced late January that it had received approval from the SRA to become an ABS, meaning it can now directly own limited liability partnership, PwC Legal, and bring together its circa 2,000 global lawyer network. In June this year, the SRA announced that 160 firms across England and Wales were under intensive supervision due to the state of their finances and within that, eight were the subject of real concern. The strain was attributed to a variety of predictable reasons including legal aid cuts, prohibition of personal injury referral fees, a tougher stance from banks on lending and the sustained economic downturn. The SRA contacted around 2,000 firms individually in August, requesting key financial information in an attempt to build a picture of the issues facing firms so as to ‘target resources through its financial stability programme,’ an SRA statement said yesterday (18 Sept). The SRA requested data on net profit (at the last financial year end), total borrowings, and highest and lowest bank balances for each of the last three months. Firms included in the survey include those working in practice areas facing heavy economic pressure, such as personal injury or legal aid and around 500 firms it considers ‘high impact’. Firms which come under the SRA’s ‘high impact’ radar come from the top 200 firms in the UK, including Magic Circle and major City firms, which could cause far-reaching consequences if they suffered financial demise. This group then widens to the UK’s top 500 firms, which the SRA consider to be part of the food chain and dependent on work outsourced from the larger, more profitable firms in the top 200. Of the firms contacted, around 700 were already actively being supervised by the SRA through its relationship management programme, while the regulator contacted the compliance officer for legal practice (COLP) at the remaining 1,300 firms by email. Of the 1,300 emailed, around 1,000 firms supplied the requested information or applied for an extension by the 3 September deadline. Of the firms that responded, around 50 per cent did not score at all on any of the financial indicators so far, ‘suggesting there is no evidence of financial difficulty requiring engagement at this stage’. However, that leaves around 500 firms demonstrating indicators of financial difficulty, in addition to the 700 firms already being supervised by the regulator, meaning that over 10% of UK law firms could be experiencing some form of financial hardship. The recent financial failure of regional firm Cobbetts, which has since been swallowed by DWF in a £3.9m pre-pack deal earlier this year, and more recently Midlands-based Challinors, which went into administration in August, has served as a wake-up call to the legal profession where the risk of demise is more acute than ever before. With many practices suffering a turbulent year in 2012/13, forcing deeper consolidation between UK firms, many commentators have expected further casualties, adding to a string of law firm collapses since the demise of Halliwells in 2010 up to Cobbetts and Scots firm Semple Fraser this year. The business of winding down law firms is also costly, as the total bill for Cobbetts’ administration was unveiled by a KPMG report last week to stand at £1.7m, with Pinsent Masons taking a slice worth £169,367 of the £352,289 in legal fees. The progress report, prepared by administrators Mark Granville Firman, Brian Green and Howard Smith, also showed time costs of the administration worth £607,846, representing 1,856 hours at an average rate of £328 per hour.